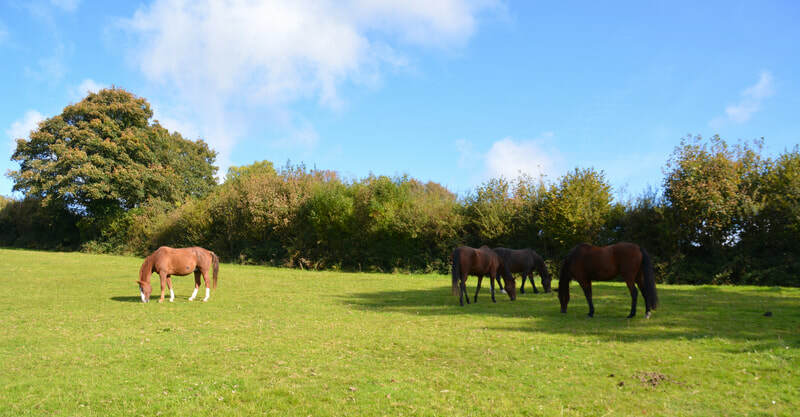 Nestled in the beautiful Dart Valley, tucked away from main roads Lowertown Farm is the ideal location to retire your horse. At Lowertown Farm we aim to provide affordable tailor-made packages to suit your horse during their retirement. We believe it's important to provide a loving, caring home for horses no matter what age or reason for their retirement. They are kept within a herd environment with other horses that match their individual personalities and their seasonal grazing requirements. Providing that individual, specialist care for your horse is vital whilst allowing them time to be 'just horses' during their retirement. 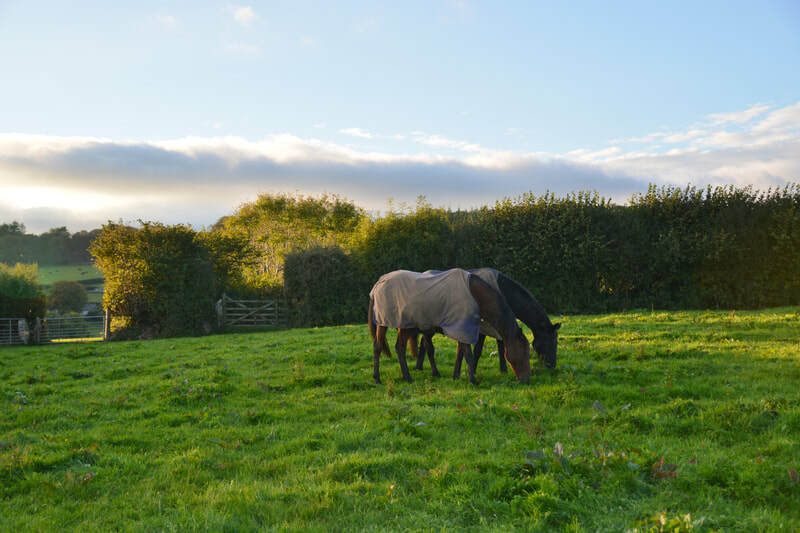 At Lowertown Farm your horse will be kept in a secure, tranquil and relaxed environment. Our fields are full of natural shelter, gentle slopes, thick hedgerows for browsing and water troughs with fresh spring water. 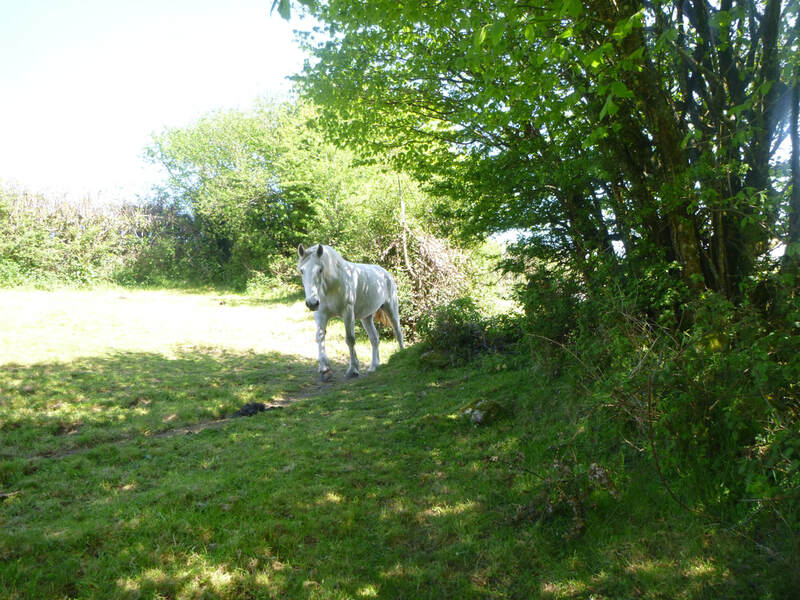 Due to our location on Dartmoor, there are few flies during the summer to irritate the horses and we often have a gentle breeze throughout those hot, sunny days, a perfect escape! The cost of livery is spread throughout the year for all clients. Commonly older horses stiffen up during periods of stabling. This is why we offer 24/7 turnout at our yard – a popular choice for all breeds of horses. Your horse can then choose how active they would like to be in older life, it's especially good for those who suffer from joint stiffness, swellings, respiratory issues and arthritis. All the horses live out through the summer months, then during the winter, those who need to be stabled can be in our spacious stables. Even those who are stabled during the winter months get on average nine hours of turnout during daylight hours to ease any stiffness. We maintain a full fieldwork program - correcting the fields after winter, limiting the weeds and ensuring good pasture growth, we also have a full worming program with assistance and advice from Westgate Laboratory. All of our haylage is produced by us on the farm to ensure its quality, made when the weather is just right and fed throughout the winter. We have excellent 24hr cover vets who we highly recommend but if you wish to remain with your own vets then that's great. There are no restrictions on accessing your horse and we speak to, or email, owners regularly along with Facebook photos and updates. Keeping owners as involved as they would like to be throughout their horses retirement. Hannah studied equestrianism for a number of years at Duchy College in Cornwall. She started riding at the age of two years old having won a raffle for a pony ride, over the past 30 years she's gained experience of dealing with all types of horses including ex-racers, eventers, riding school horses, working hunters, polo ponies and feral Dartmoor ponies. Hannah also volunteers with the Dartmoor Pony Heritage Trust occasionally handling their feral offspring and adding value to help other farmers. Having lived at Lowertown Farm for many years Luke and Hannah have established professional relationships with our vets, farrier, horse dentist (who kept his horse with us during a period of rehabilitation) and physios all of whom will come at very short notice to our yard to assist with any issues. 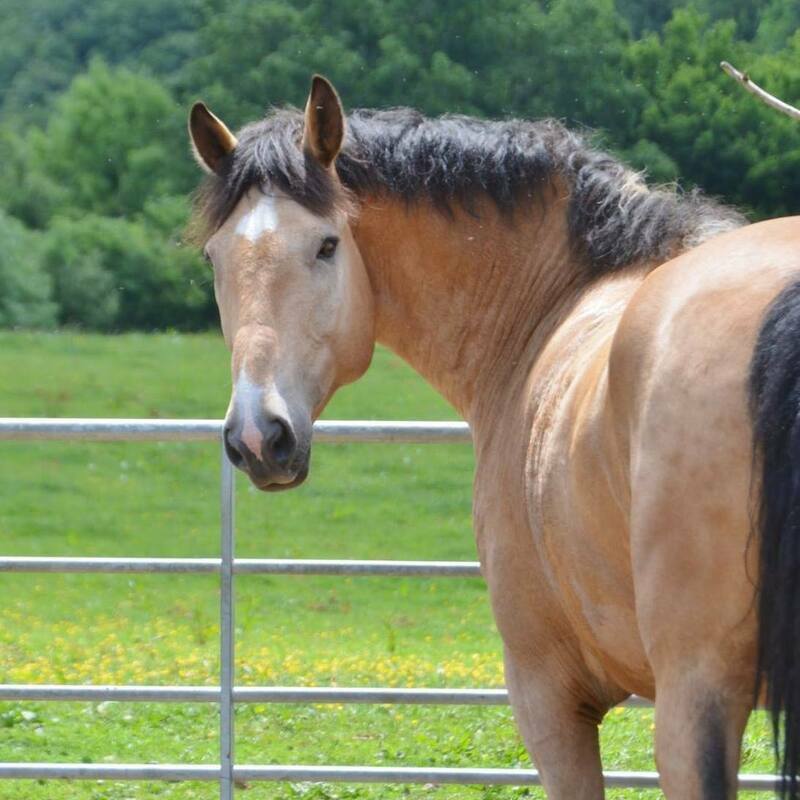 As we purely specialise in retirement livery, your horse won't have the stresses of daily life with other horses coming and going that you would find at other livery yards – in fact, only one horse at Lowertown is ridden – Hannah's own horse April. We can recommend a couple of horse transportation companies to assist traveling your horse to us, all horses should be passported. If you don't live in Devon your more than welcome to stay at our B&B when visiting your horse and you may even have him/her just outside the bedroom window. As we like our liveries to have a bit of extra TLC in their lives, we like our yard to remain small in comparison to other retirement yards. "When the time came to retire my horse I looked at many yards. Lowertown Farm appealed to me immediately due to it’s small size and the approach of both Hannah and Luke to the care they provide. 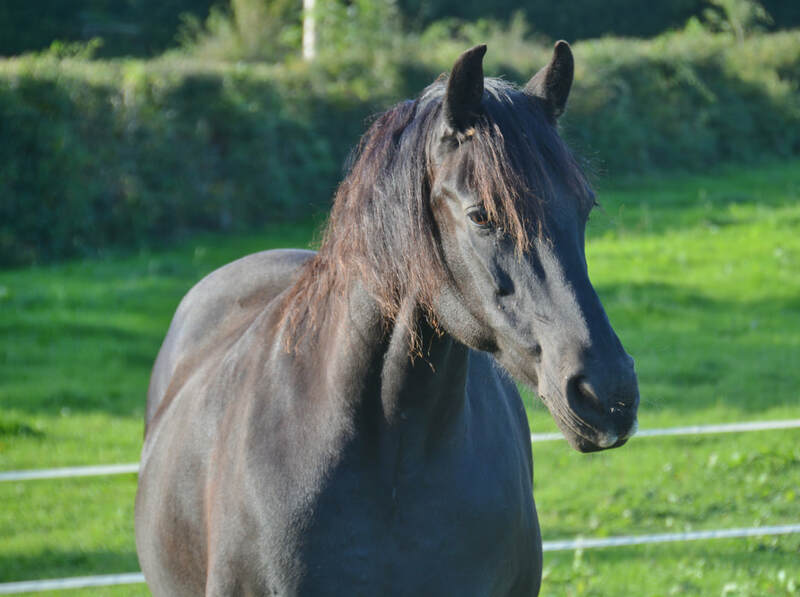 Care is positive and kind, and individualised, and Hannah takes a lot of time to get to know your horse – his likes and dislikes, position in a herd, personality and any issues they may have. The yard is extremely peaceful, visiting is a pleasure and my horse settled in almost immediately. He always has a big smile on his face when I see him and, having had a previous career in dressage he’s loving spending time just being a horse. Grazing and group dynamics are always appropriate, and changed as and when necessary, and communication is timely and professional. I would recommend to anyone."